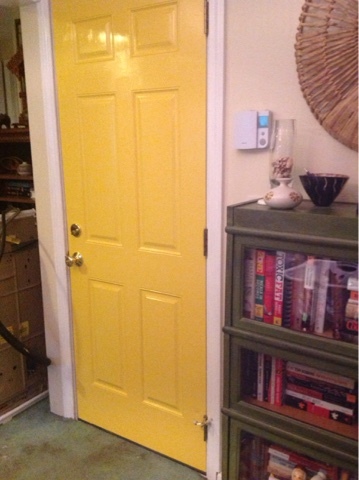 Last night, I saw a Lowes commercial on HGTV where the stylist painted the inside of an entry door a cheery yellow. Today, I'm using up some leftover high-gloss "smiley-face yellow" paint on the entry from the garage. The door looks very nice, thanks for sharing.